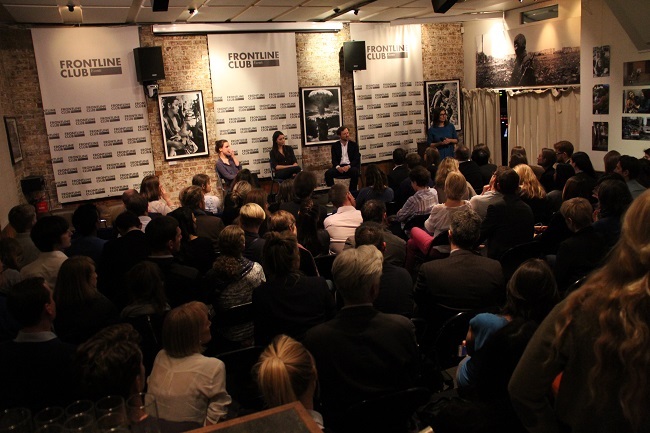 On Thursday 15 May 2014, the Frontline Club screened Virunga, a masterful documentary that portrays both the highest of human empathy, and lowest of murderous greed in eastern DR Congo. 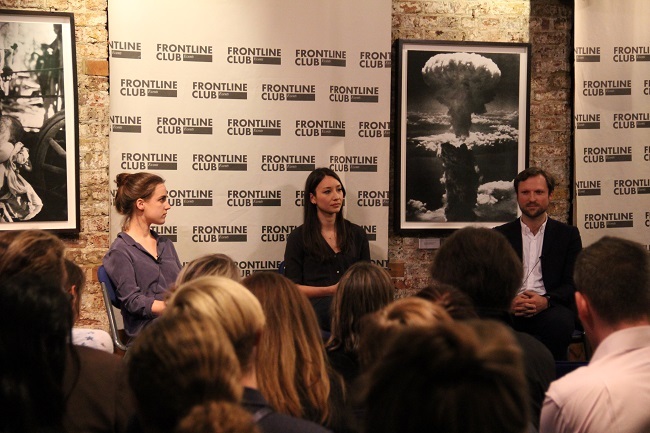 Present for the Q&A were director Orlando von Einsiedel, producer Joanna Natasegara and investigative journalist Melanie Gouby, who is featured in the film. 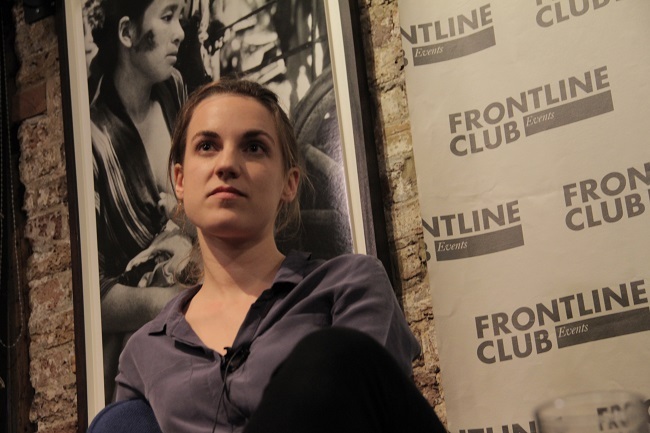 “I’ve been interested in trying to tell a positive, different story from eastern Congo. One that wasn’t all about the many negative things that we mostly hear about the place. “Between 2008 and 2012, there’d been a period of relative stability, and I learned about the really inspiring work of the rangers of Virunga National Park. In their story I saw a metaphor for the wider rebirth of the region. “That the park was implementing various different development projects, tourism was starting to grow again . . . I’d only been on the ground maybe three weeks and this new civil war started. Two representatives of SOCO International were allegedly present at the screening. The company had issued a PR statement in response to what it “believes to be groundless allegations” recorded in the film. 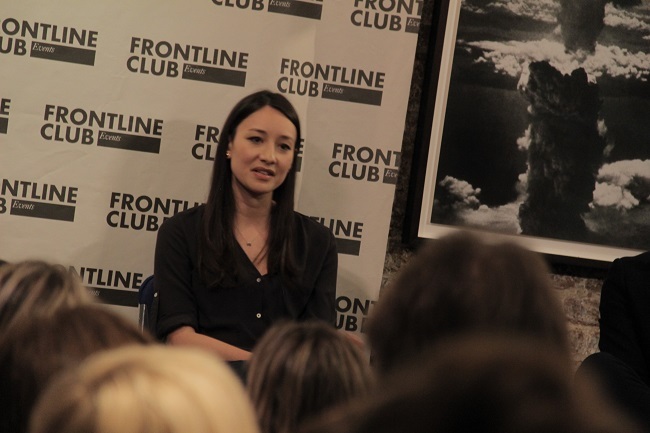 An audience member from BBC Panorama asked how the filmmakers responded to SOCO’s comments. “We wouldn’t be sitting up here if we didn’t stand by the journalism and the work that we’ve done. 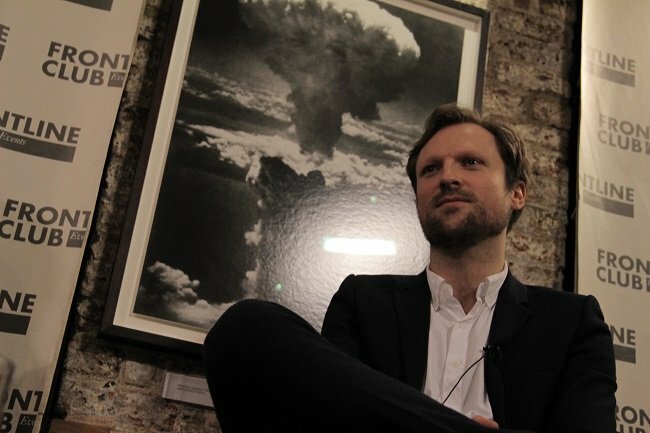 “There’s no suggestion that there’s any oil under Virunga National Park. That’s the first misnomer that SOCO International put out. There is no proof that there’s any oil under this world heritage site. . . . What they are doing is illegal, as Orlando said. “What they failed to recognise is that it’s illegal at the highest level of law. It’s enshrined in the constitution that a world heritage site cannot be exploited in this way for oil exploration, ever. So all the permits they would like to suggest they have are all null and void. . . .
“What power do we have to act against these groups, these immoral positions?” asked a member of the audience. There was no one to respond. “You can donate directly to the park. The website is www.virunga.org/donate.